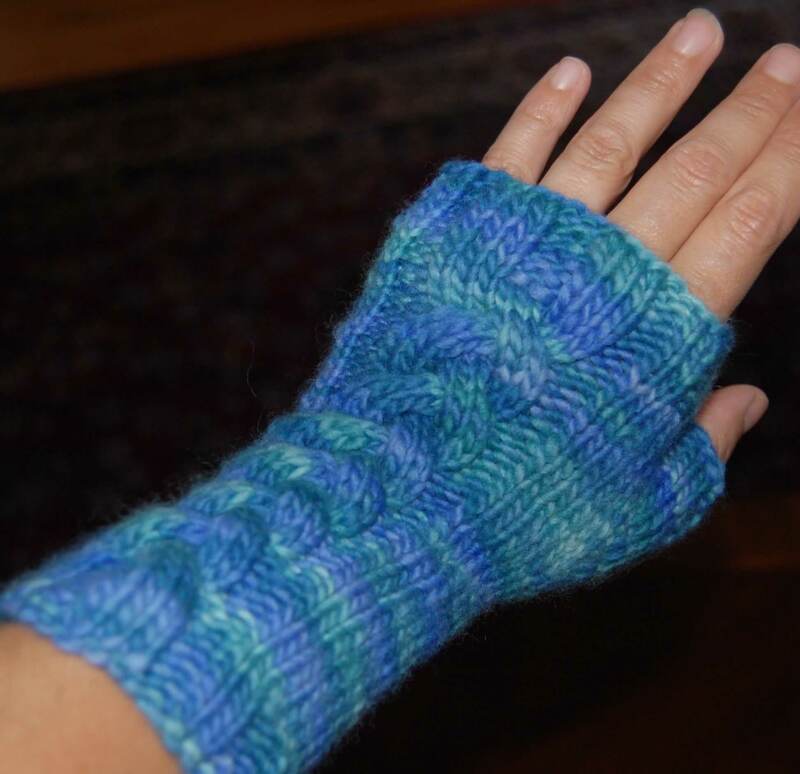 You can knit the pair up over a weekend and 1 ball of the Malabrigo Worsted will make 3-(almost) 4 gauntlets. Quick and fun project. Looking forward to the book club next week! What did you do to change these? Just curious- I just finished a pair. Love them! 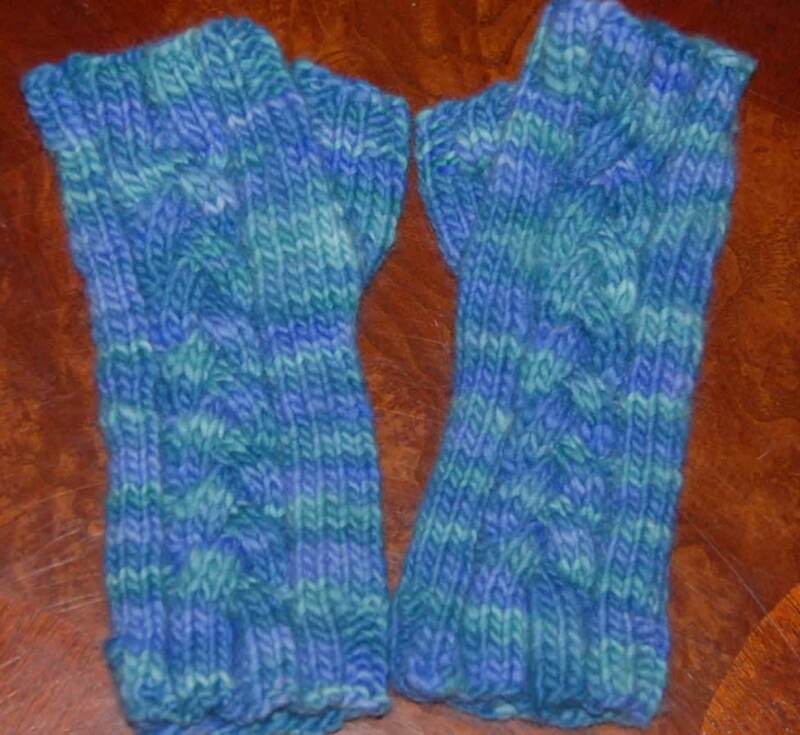 I knit these using 2 circular needles (instead of using 3 dpn as in the original pattern)and I moved some of the stitches around to make that work. I did it by charting out both hands.